This kit has now been replaced with the DJI Naza M V2 GPS Combo + DJI F450 E305 Flame Wheel ARTF Kit V2 + H3-3D Zenmuse. This page is now for reference only. The Naza M V2 GPS & F450 E300 Flame Wheel ARTF Kit from DJI is their next exciting product to the market, it utilises the latest technology from the E300 Tuned Propulsion system with the Naza M V2 GPS flight controller. This package includes the latest F450 E300 Flame Wheel ARTF QuadCopter kit supplied with the landing legs needed to install a Zenmuse gimbal. The New E300 Tuned Propulsion system is the first power solution of its kind for multi-rotor use, the higher thrust to weight ratio increases the reliability, stability and agility of flight through enhanced aerodynamics and efficiency from the motor and propeller combination. The DJI Naza M V2 main controller hardware structure has been optimized, the expandability and performance of the flight control system has been enhanced further with new attitude stabilization algorithms. The E300 Tuned Propulsion system has added to these improvements to provide better flight performance and manoeuvrability, the new level of flight control performance provides better flight control, flights are smoother and take-offs are easier. The Naza M V2 has automatic course deviation compensation, this reduces the effects of magnetic disturbance and interference around the compass, there is a warning for detection of magnetic disturbance from the Naza LED. The IMU advanced calibration; error identification and warning helps to reduce the impact of sensor errors in flight so increasing the overall performance of the system. The GPS unit added to the Naza M V2 will see great position holding and RTL (Return To Launch) features for additional safety. The Naza M V2 with GPS also have IOC (Intelligent Orientation Control) function to help new and experienced pilots gain the most from the systems with easy orientation assistance while flying at greater distances. Please note some soldering and construction is needed on the F450 E300 Flame Wheel ARTF Kit. 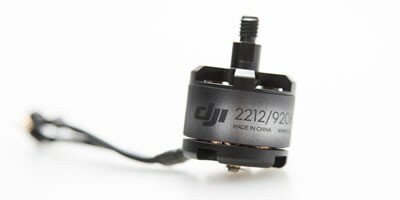 DJI Innovations Naza Support Pages. DJI Zenmuse H3-3D V1.1 Brushless Gimbal With GCU. The DJI Zenmuse H3-3D V1.1 Brushless Gimbal is a 3 axis brushless gimbal, which has a high precision, high stability and lightweight chassis with plug and play features; it is widely used in film and television productions and advertising aerial photography. The Zenmuse H3-3D Gimbal is designed for the GoPro Hero3 and will stabilize and control the GoPro camera precisely within the 3 axis of control for outstanding video stright from the camera. The precision of control angle is within the range of ±0.08°, so the photos or video output will be of the highest quality in fast forward flight or a holding position. The H3-3D gimbal has its own independent high-precision Inertial Measurement Unit (IMU) which offers precise attitude information and more accurate control. The DJI Zenmuse H3-3D gimbal requires no additional manual adjustments, you only need to check and adjust the C of G. and parameters in the software for use with the DJI Naza M V2 GPS Flight Controller, the installation process is extremely simple, you only need to install the GCU for communication with the Naza M V2 Can network. 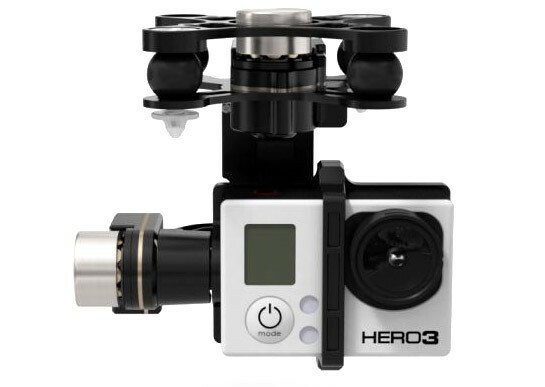 The H3-3D gimbal has a video output pickup from the GoPro Hero3’s USB connector and with the use of a video transmission system (video downlink required) you will be able to view the image seen by the GoPro in real time. DJI are looking to add the use of remote start/stop shooting etc of the GoPro Hero3 in future firmware upgrades. The mechanical design, weight and power supply to the gimbal is matched to the Naza M V2 perfectly. The H3-3D can have the tilt adjusted from a transmitter, this can be used to give the pitch (tilt) control function to the gimbal, the other 2 axis's are not user controlled. No additional receiver channels are needed as it uses the additional MC channels for operation on the Pan / Roll axis. The aluminum alloy material and mechanical design means that the gimbal is extremely light weight (total approx weight 330g with the GoPro Hero3 included). The structural design of the aluminum frame guarantees the strength of the gimbal and gives it a robust feel and function. 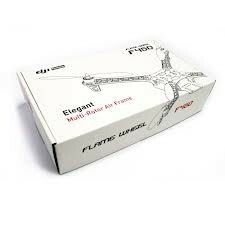 The DJI F450 E300 Flame Wheel ARTF kits utilise the latest technology from the E300 Tuned Propulsion system, they can be used with the DJI A2 M, DJI Wookong M, Naza M V2 or the DJI Naza M Lite autopilot systems to achieve hovering, cruising or other flight elements. The DJI F450 E300 can be used for aerial photography, entertainment, First Person View / FPV flights and other aero modelling activities. 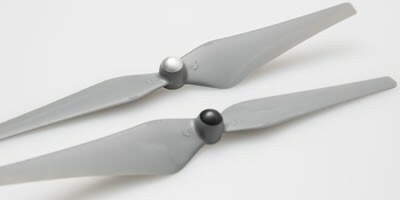 DJI E300 Self Tightening Propellers Grey) which deliver an average of 20-25% improvement over the 8 x 4.5 propellers without the need for an increase in motor size. The higher lift generated from the new profile propeller means that payloads can be increased without the need to upgrade the system. The ESC’s for the E300 Tuned Propulsion system have been improved with a new efficient and quick response algorithm to take full advantage of the new motor and propeller combination. All of the improvements contribute towards extra maneuverability and stability in windy conditions or during descent of the aircraft. The propellers are balanced dynamically to reduce “jello” and rolling shutter issues seen on non-balanced propellers when using cameras in the air. 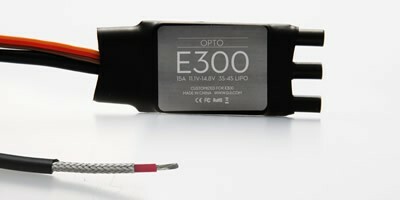 The E300 ESC’s were designed with a coaxial cable to lower the impact of electromagnetic interference to other systems while in flight. The DJI F450 Flame Wheel frames are built from very strong materials, the arms are made from the ultra-strong PA66+30GF, this provides better resistance to damage on hard landings, while the main frame plates use a high strength compound PCB material, which makes wiring of E300 ESC’s, battery easier, quicker and safe on the lower of the two frame plates which is also the power distribution board. The overall frame design provides enough space when assemble to fit an autopilot systems between the top and bottom plates of the F450 Flame Wheel. The arms supplied in the kit are different colours, 2 red and 2 white to allow for improved visual orientation in flight, other coloured arms in black are also available. The F450 Flame Wheel frames are very easy to build and are held together by a set of shouldered bolts through the top plate and bottom plate, the bolts pass through the predrilled holes in the top and bottom frame plates of the F450 Flame Wheel into the top and bottom of the arms, a total of 6 bolts per arm holds the frame plates in place and ensures that the F450 Flame Wheel frame is very solid.